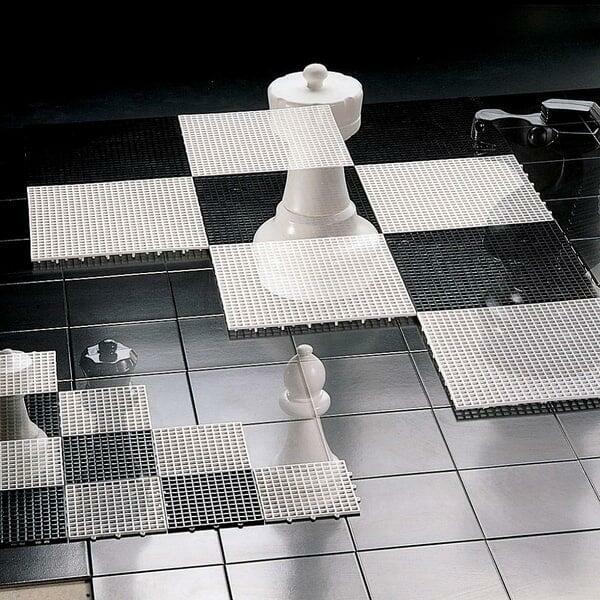 Get ready for the biggest game of chess (or checkers) you will ever experience in your lifetime! 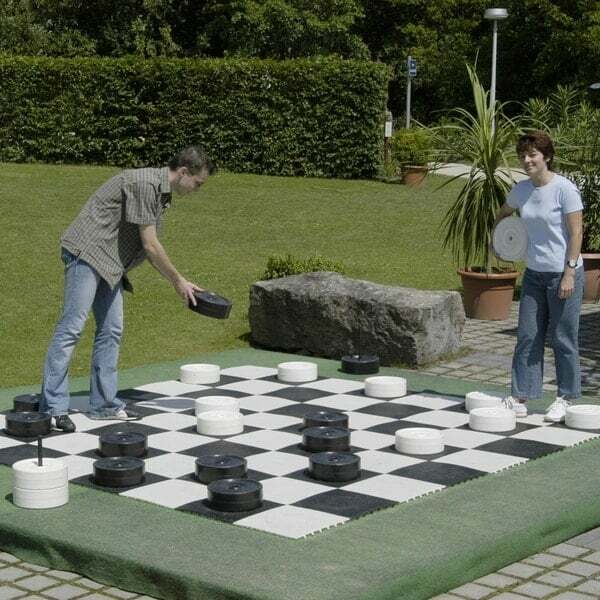 This large game board from Kettler Toys can be set up over virtually any surface and allows you to play massive and fun games of chess or checkers. Match this board up with your Set of Large Chess Pieces (sold separately) and prepare thyself for epic sessions of the "King's Game"! Board Pieces 14" x 14"